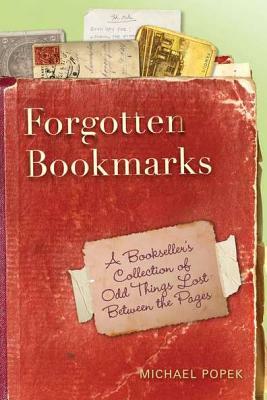 "Forgotten Bookmarks" is a scrapbook of Popek's most interesting finds. Sure, there are actual "bookmarks," but there are also pictures and ticket stubs, old recipes and notes, valentines, unsent letters, four-leaf clovers, and various sordid, heartbreaking, and bizarre keepsakes. Together this collection of lost treasures offers a glimpse into other readers' lives that they never intended for us to see. Michael Popek studied literature at Bennington College before rejoining his family's used-book business. He lives and works in Oneonta, New York, with his wife, dog, and cat.